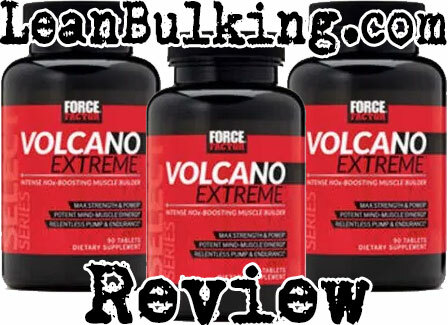 VolcaNO Extreme is a pre-workout supplement made by Force Factor. It was released in mid-2018 and priced at $69.99, so we're expecting big things from such a big price tag! From first opinion, it doesn't seem like a bad product. But interestingly, Force Factor has chosen to provide capsule servings for VolcaNO Extreme; this differs from the usual power form that pre-workouts usually come in, so we like that they've tried to 'stand out from the crowd' here. Ultimately, it'll be the ingredients inside this product that determines whether it's worth trying out. We'll take a look at VolcaNO Extreme's nutrient profile in the next section. But first, we'll tell you more about the company behind it. Force Factor is increasingly strengthening their line-up of supplements. So we've noticed that this company is getting quite a lot of attention. 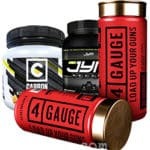 Their products are always priced to compete against the premium supplements on the market; we like this ambition to battle against the 'big boys of the industry. We've reviewed a couple of Force Factor's products before. 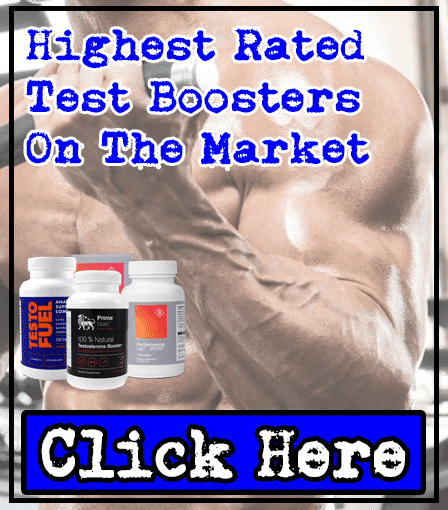 This includes their test boosters Test X180 Ignite PRO and Test X180, so we're interested in seeing how their pre-workout compares to the highest rated pre-workouts on the market. VolcaNO Extreme contains 6 main ingredients overall; this is a good number to have, as we've found that products containing over 10 are usually under-dosed. So we do prefer fewer nutrients in better dosages. However, it must be said that the dosages per ingredient in VolcaNO Extreme seem quite low. Especially when taking into account the big price $69.99 price tag, in our honest opinion. We're also slightly disappointed that Force Factor has added Huperzine A, as it's shown to causes side effects in past users. There are positives though; VolcaNO Extreme contains some of our favorite pre-workout ingredients such as L-Citrulline and Creatine. Anyway, we'll take you through each ingredient in this pre-workout. 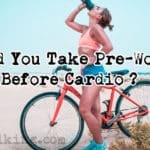 By the end of this review, you'll have a good idea of how safe and effective this pre-workout supplement really is. This is a patented form of Inositol Stabilized Arginine Silicate. It's believed to help enhance your muscle pumps in the gym, and some studies have shown great success. However, it does seem that every study conducted using this patented nutrient was sponsored by the company, in our honest opinion. So you can make your own mind up whether these studies are reliable or not. 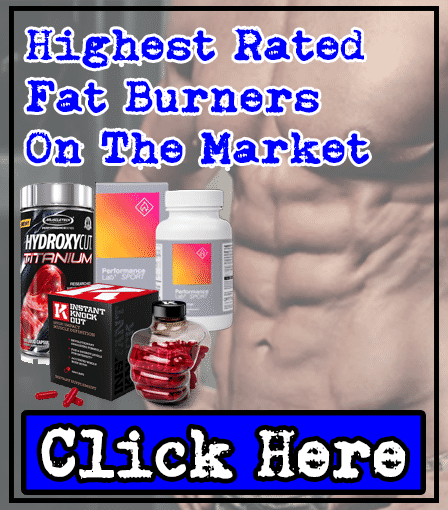 Personally, when it comes to improving your nitric oxide levels and improving muscle pumps, we prefer L-Citrulline (or even better, Citrulline Malate). This is because it's proven to work in many non-sponsored numerous studies. But in fairness, Nitrosigine hasn't shown to cause any side effects either. So it's not a bad addition to any supplement. As we just mentioned, we prefer L-Citrulline over Nitrosigine, so we're glad Force Factor has included this in VolcaNO Extreme. What does it do? Well, L-Citrulline converts into L-Arginine in your kidneys, which increases your nitric oxide levels. In turn this boosts your blood flow, allowing more blood and oxygen to enter your muscles - resulting in enhanced muscle pumps. However, studies have shown that you need to consume dosages of at least 3,000mg for L-Citrulline to work optimally. As there is only a small 750mg in VolcaNO Extreme, L-Citrulline doesn't seem likely to work here. Ultimately, this shows how important getting the dosage of ingredients right is. And we're not quite sure why Force Factor couldn't add a bigger dosage when this pre-workout is priced $69.99 (just our honest opinion). In case you're wondering, this is a patetented form of Creatine HCI (Hydrochloride). It's basically a newer form of creatine, so this makes it a good addition to any pre-workout. If we were to make a tiny complaint, it would be that we prefer Creatine Monohydrate. Call us old-fashioned, but Creatine Monohydrate has proven itself over the years, and there's no need to replace something that's not broken. But in fairness, Creatine HCI has shown to work too. It's slightly under-dosed for our preferences; we believe pre-workouts should contain at least 1,000mg Creatine, but Force Factor are pretty close here, so it's not much of an issue - especially if you supplement Creatine separately anyway. Good work by Force Factor here. 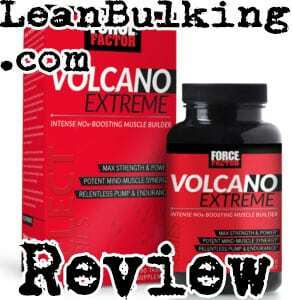 Force Factor has tried very hard to make VolcaNO Extreme a serious nitric oxide booster. This is clear from the addition of Grape Seed Extract, which is believed to get the job done due to containing antioxidants. There are studies showing that Grape Seed Extract works, so you can't really argue with it; these studies show that this ingredient can be effective in dosages between 150mg-300mg. As VolcaNO Extreme contains 150mg, Force Factor has done well here. It's pretty clear that Force Factor like patented nutrients. 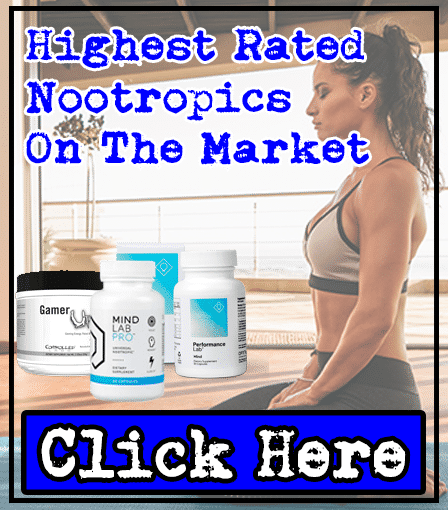 AlphaSize is a patented form of Alpha-glycerophosphocholine (more commonly known as Alpha-GPC); this is known for its ability to improve your cognition, making it more useful in nootropic supplements. A boost in focus can be beneficial to your workout by strengthening your mind-muscle-connection. However, Huperzine A focuses more on improving your memory and brain performance. As you won't be writing any essays or reading books in the gym, we don't believe that Huperzine A is a necessary addition to pre-workout supplements. If Force Factor had added a stimulant such as Caffeine Anhydrous in VolcaNO Extreme instead, then it would have boosted your energy levels and increased your focus too. Toothed Clubmoss has been added to VolcaNO Extreme due to containing Huperzine A; this is another nootropic ingredient that's shown to improve your cognition. Ultimately, we've already mentioned everything about nootropic ingredients above. So the bottom line is that Toothed Clubmoss wouldn't have been necessary if Force Factor had added a stimulant here instead (which would have been more beneficial). The good news is that most of the ingredients in VolcaNO Extreme are free from side effects. However, there is one nutrient that has shown to cause side effects in the past - Huperzine A. WebMD claims that Huperzine A has the potential to cause nausea, diarrhea, cramping, and high blood pressure. Force Factor usually produces some good products. But as we mentioned, earlier in this VolcaNO Extreme review, they always price their supplements very highly. Usually, we can see where the production costs have been spent. But on this occasion, we don't think VolcaNO Extreme is good value for money, in our honest opinion. Why? Because there are plenty of pre-workouts that contain much higher dosages of key nutrients for less cash. 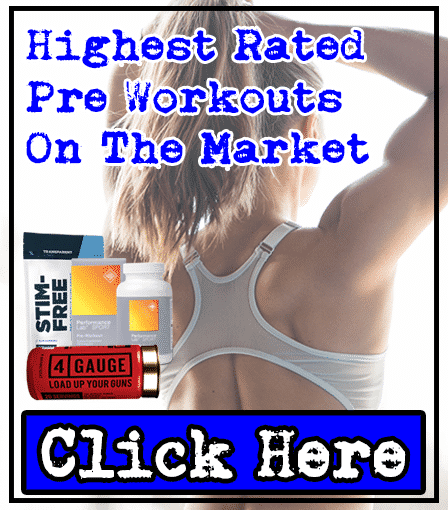 We recommend you to look elsewhere on your search for a quality pre-workout supplement. 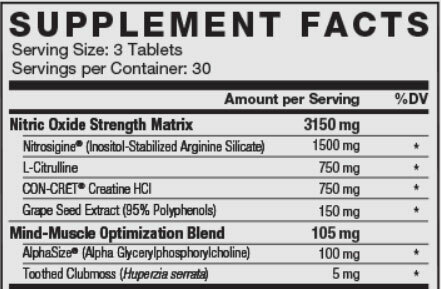 With that being said, the positives are that Force Factor has added some great ingredients such as L-Citrulline and Creatine. So if this was priced lower, it wouldn't be a bad purchase at all. We just can't ignore its huge price tag compared to other pre-workouts on the market. For $69.99, we don’t believe that the ingredients and dosages in VolcaNO Extreme are justified. For this reason, we don’t believe that VolcaNO Extreme can compete with the highest rated products on the market.